IRRI chief Robert Zeigler joined experts to talk about smarter food production to address food insecurity at the COHRED Global Forum on Research and Innovation for Health 2015. In photo (from left): Roger Barroga, Philippine Rice Research Institute; William Dar, former director general, International Crops Research Institute for the Semi-Arid Tropics; Robert Zeigler; Karen Cooper, Nestle; Howarth Bouis, Harvest Plus; and Ellen Villate, IRRI. "If you want to address poverty and malnutrition, you have to pay attention to rice," Robert Zeigler, director general of the International Rice Research Institute (IRRI), told delegates of the Global Forum on Research and Innovation for Health 2015. The forum, hosted by the Philippine government, was organized by the Council on Health Research for Development to identify innovative solutions to the world’s unmet health needs through research and innovation. Malnutrition remains a huge health concern given the challenge of providing a growing global population with a stable supply of safe, affordable, and nutritious food while using less resources. More than half of the world’s population depends on rice as a major source of calories. 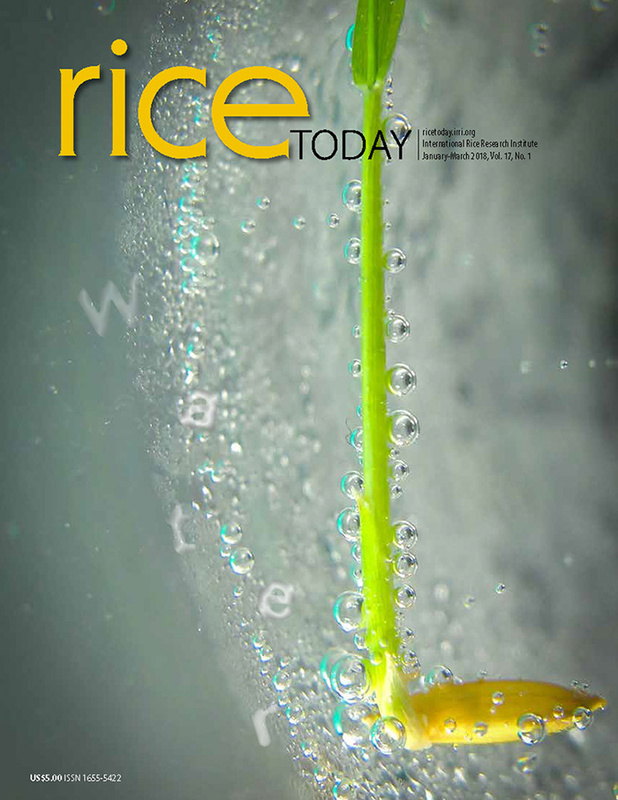 Enhancing the nutrient content of rice can make a big difference, especially in developing countries that face the double burden of malnutrition in the rural areas and overnutrition in the urban areas. To this end, Zeigler explained IRRI’s work on developing healthier rice varieties. Rice biofortification is an innovation in staple crop improvement that has become a complementary strategy to help reach rice-eating communities with limited access to diverse diets. In these areas, rice is crucially important because alternative foods may not be acceptable, available, or affordable. Nutrient supplementation alone may also be insufficient and unsustainable. IRRI conducts biofortification to develop healthier rice varieties with enhanced beta carotene (pro-vitamin A), iron, and zinc content. These nutrient-packed rice varieties can help address micronutrient deficiency that affects at least 2 billion people globally. For these healthier rice varieties to be successful, they should be recognized by farmers, consumers, and the rice sector as a potential complementary solution for micronutrient deficiency and for delivering clinically proven health benefits. Looking to the future, we can imagine combining traits for higher zinc, iron, and beta carotene with high yields, adaptability to a changing climate, and other traits that are attractive to farmers. These varieties must also pass regulatory muster in target countries. Over 4,000 delegates from 72 countries attended the forum held at the Philippine International Convention Center in Manila on 24-27 August. The event attracted the participation of public, private, and nonprofit health and innovation stakeholders. COHRED’s partners in the Philippines are the Department of Science and Technology, Department of Health, and the Philippine Council for Health Research and Development. 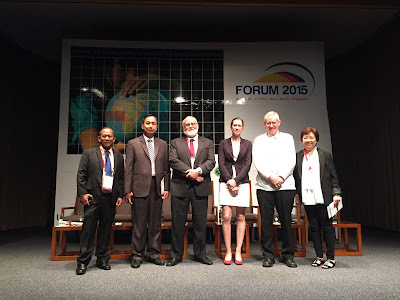 IRRI is a proud content partner of the Global Forum 2015. View the Global Forum eBulletin here.